We are pleased to launch OCR capabilities for our PDF to Word and PDF to Excel converters. This allows converting scanned documents and enable quickly converting scanned files to an editable format. Many users have requested this capability and we are happy to be able to fulfill this need now! 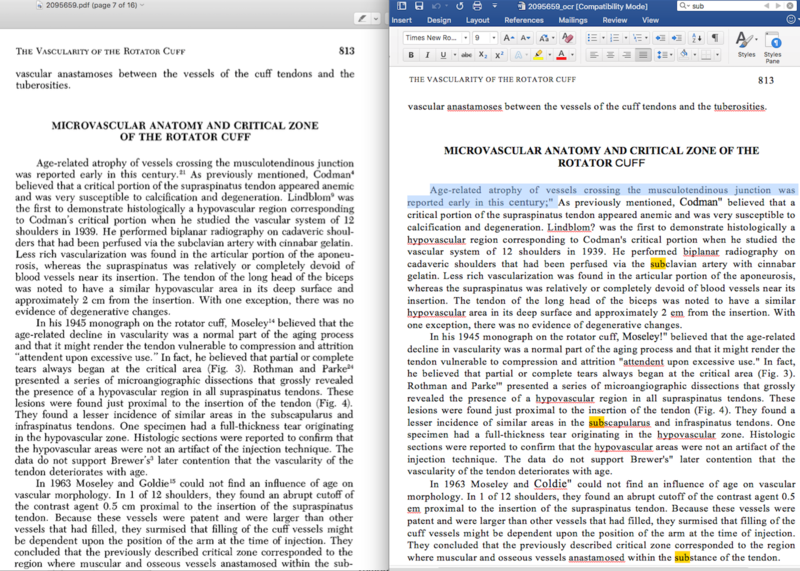 As an example of a successful conversion, see the following comparison of the original page from the PDF (left) and the converted DOC file in Word (right): The OCR processing is more intensive than processing of regular files. Thus, we are initially only offering the service to users with our Premium plan. The page limit of simultaneous pages in OCR processing is set to 50 in the beginning but we will reconsider that limit as we move forward. Contact us if you want to talk about your requirements. If you want to test it out and see if it is right for your needs, you can always sign up for a free 3 day trial. If you are already signed up with a free account, you can also start your 3 day trial of Premium at any time. Once the trial is over, the account falls back to the Free plan, unless a change in subscription is made during the evaluation period. To use OCR in our PDF to Word converter, simply upload the scanned file. We will autodetect that the file is scanned and select the OCR processing option. The output file will be a DOCX file which can be opened in MS Word. Similarly for PDF to Excel scanned files will be autodetected. Let us know what you think! And if you have specific issues, please contact us and make sure to send us the files. As with everything, we are always looking to improve, and we will use feedback from our users to work on further upgrades and refinements. The quality of the output can often depend on the quality of the input documents. Clear, high resolution files will convert much better than blurry images. Keep that in mind! The OCR conversion also works best on PDF files with text on a white background and good contrast. Background images with not just a single color can cause problems in the conversions. We emphasize that the OCR conversion is a best effort, and we cannot guarantee that it will produce the desired results every time. If you need to use it, we suggest you try it out with a free trial and see if it can do what you need prior to purchasing the service. Send your feedback to us via email at [email protected] or use the Beacon widget in the lower right corner (the question mark icon)! Give it a shot and happy OCRing!